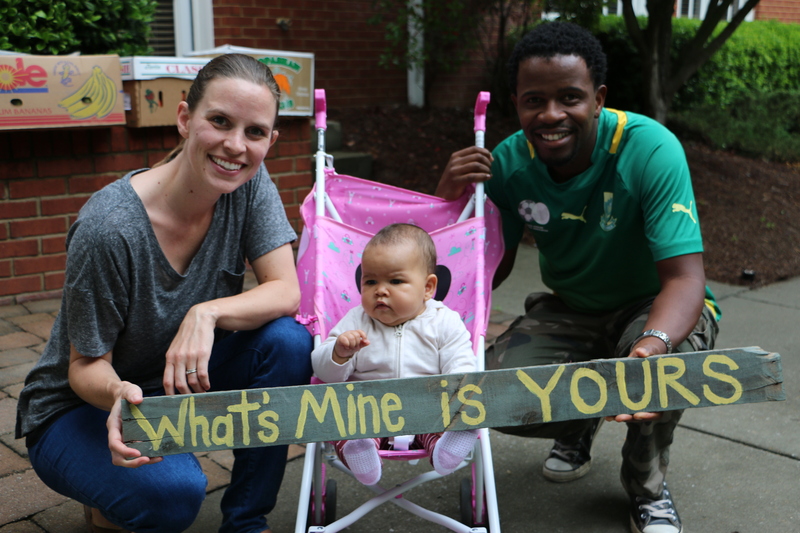 What a treat to host Godfrey and Elizabeth Mosobase, Sophie, and Elizabeth’s parents, Norm and Jo, in Birmingham, AL, with Grace Klein Community. We love being partnered with LXP Lesotho. The Mosobases visited from May 20 to May 24, 2016. The Elliott’s hosted the family and graciously shared their home, meals and love. Friday afternoon, they were able to visit with many community friends, including Jennifer Vines, coordinator of our Swaziland partnership, and her children, one of our food rescuers, Judy, community members Oliver and Zonia Waltman, and ministry advocate Natalie Spronk of Kwathu Children’s Home. 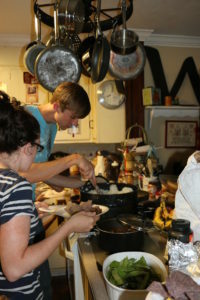 The Friday evening dinner was prepared by Maria Luttrell and served at the Elliott home. Saturday morning was an early one as the Mosobases came to serve at our monthly food delivery. They hauled food boxes and prayed with other community members. Godfrey was able to go delivery food boxes, visit and pray with two of our precious older community members while Sophie napped. We all came back together Saturday afternoon for a braai, or what Americans would term a cookout. We were thankful to have Gary and Rachel Linderman love on the Mosobases as they have huge hearts for Africa. Crossbridge Church of Christ welcomed Godfrey and Elizabeth on Sunday where they shared at Chris Roe’s small group and during the church worship service. 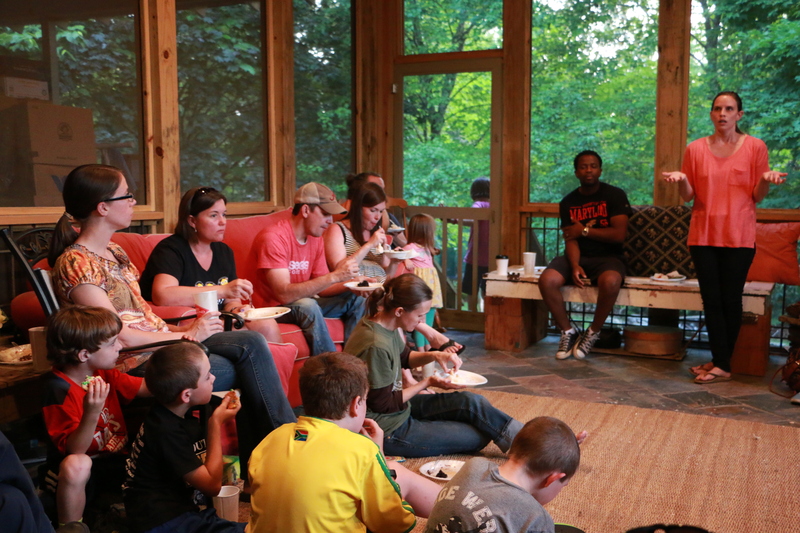 Sunday evening Roger Patterson hosted an outside canopy dinner at their home with friends. Sophie continued to be such a trooper for all the festivities. On Monday, they rested at the Elliott home while enjoying a pancake breakfast. The Patterson family treated them to Steel City Pops and then they found treasures for families in their village from the Give and Take Room. They closed the evening sharing at our Monday Night Prayer gathering where a group of community friends came together to pray, worship and hear from the Mosobases. Godfrey made nshima/mealie pap for the occasion so community friends could try one of their staple foods. We look forward to seeing our friends again soon. Read more about their ministry HERE. We receive their financial support and you can give to their everyday needs HERE. A special request from the Mosobases is for us to send them more words of encouragement, scripture and prayer. Please email those to natalie@gracekleincommunity.com so that she can send encouragement emails to them on a monthly basis.